The eBay Commerce Network sent out an announcement today presenting their new tracking metrics and reporting improvements. These additional improvements are a welcome sign of things to come out of Shopping.com. eBay also released revised feed specification, including new fields earlier in April. We expect to see more upcoming changes as eBay continues to improve the interface for merchants. Merchant SKU: Make data driven bidding and optimization decisions using granular performance data. Order notes: Capture any relevant order information for future reference, such as ‘in-store pickup’ or ‘new customer’. Unit price: Calculate critical performance metrics including cost of sale (COS) and average order value (AOV). Item quantity: Better understand customer value with visibility into transaction details including number of units sold for a unique SKU and incremental items placed in the same order. 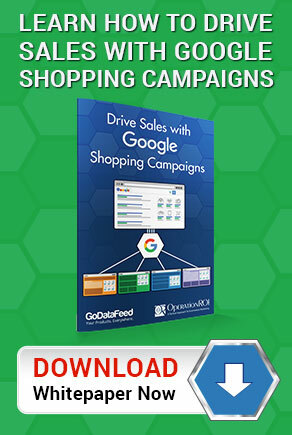 Leverage the new ‘Order’ report which contains campaign metrics including quantity, time from click, SKU, and custom order notes. Simply remove all previous code and follow a few simple steps in our implementation guide to integrate the new version. And if you don’t wish to upgrade at this time there is no action needed as eBay Commerce Network maintains full backwards compatibility. Staying on top of the ever evolving shopping engines can be confusing, but we can help. We are always reviewing and gathering information on how these and other changes may affect your account. You can always contact our experts for advice, by calling us at 1-888-277-5429 or filling out our contact form.